For the second time this season, the Cleveland Browns entered a game fresh off a big divisional win that had the team and its fans believing the club had finally, after all these years, turned a corner. 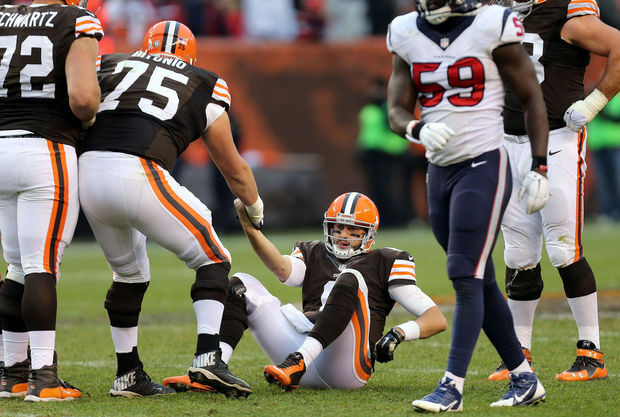 And for the second time, the Browns betrayed that belief and left a turd in the punchbowl. This time it was a deflating loss to the Houston Texans that looked so much like a repeat of the Jacksonville game in October, almost down to the final score. Then, a week after beating Pittsburgh, the Browns fell to the Jaguars and Blake Bortles by the score of 24-6. On Sunday, the Browns team that looked so good against Cincinnati had no answers for Ryan Mallett, who came into the game having thrown one NFL pass but somehow went 20-of-30 for 211 yards and two touchdowns in his first career start. This time, the Browns fell 23-7. The loss was disappointing, even more than the Jacksonville game as there are only six games left now in the season, so every missed opportunity hurts more. But the Browns are still 6-4 and have won five of their past seven games. 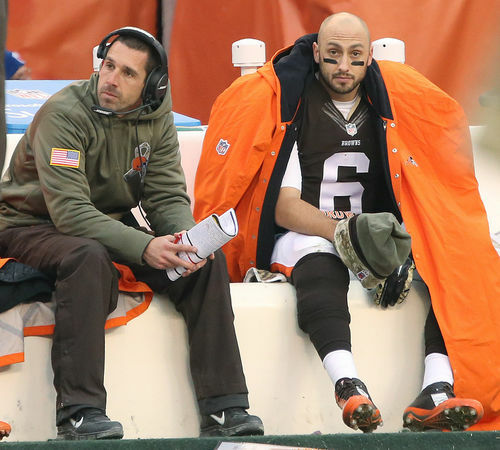 So even if it’s not the end of the world – or the season – Sunday’s loss highlighted the problems the Browns will continue to deal with over the final weeks of the season. The biggest one is the running game, which over the past five games is producing at just 2.4 yards per carry. The Browns keep trying to run the ball, which is good, but the production just isn’t there and the rest of the offense is starting to pay the price. On Sunday it was more of the same as Isaiah Crowell, Terrance West and Ben Tate combined to rush 21 times for 52 yards. Crowell ran for 4.4 yards per carry, which looks good on paper, but the bulk of that came on one 35-yard run. Other than that one run, he produced just 26 yards on 13 attempts. There is another issue about Crowell that we need to touch on for a minute. It’s all nice that there is a cute Twitter hashtag for the undrafted rookie (#FeedtheCrow) and that our timeline is filled each week with people positing that Crowell is the best running back on the Browns. On Sunday, Crowell lost a fumble with the Browns inside the red zone that the Texans converted into a touchdown, missed a blitz pickup that led to a Hoyer sack, and forced Hoyer to call a timeout because Crowell forgot what play was called. It doesn’t matter how much talent Crowell may or may not have, those other components to the game have to be factored in when you start talking about someone being “the best” at his position. Everything that offensive coordinator Kyle Shanahan and quarterback Brian Hoyer want to do is based off having a solid running game, or at least one that opposing defenses have to respect, but that simply hasn’t been the case since Alex Mack’s season-ending injury. The numbers were brutal for Hoyer, who somehow had a franchise-record 30 incompletions (he had 25 against the Jaguars in another example of how these two games are so similar). The Browns really needed that one big play from the passing game against the Texans, but Hoyer and the receivers just couldn’t pull it off. As the running game has struggled, the fact that the current group of wide receivers doesn’t have that big-play ability is become more evident. The group is solid, but none are the type that can help the Browns put together a one- or two-play scoring drive. Josh Gordon’s return this week will certainly help, but how much remains to be seen. Then there is the defense, specifically the run defense, which is a puzzle that seemingly has no answer. 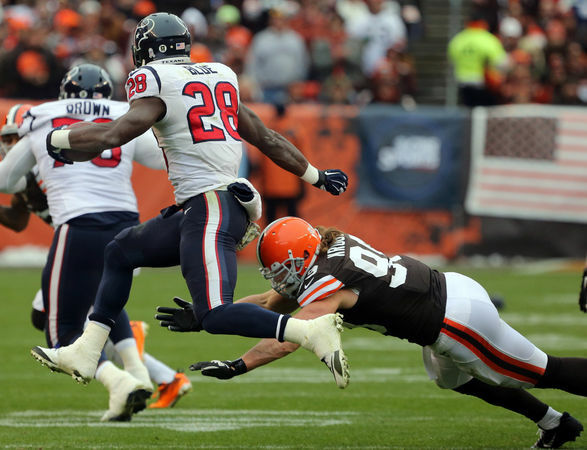 The Browns looked to be catching a break as Houston was without starting running back Arian Foster, but the Cleveland defense made rookie Alfred Blue look like a Pro Bowler as he rushed 36 times for 156 yards (and the Texans had 213 rushing yards overall). 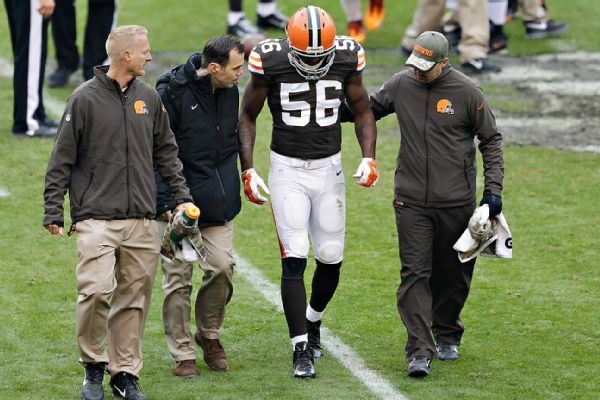 The injuries continue to mount for the defense as well. The defensive line has already loss Phil Taylor, Armonty Bryant and John Hughes for the season; on Sunday it was the linebackers’ turn as Jabaal Sheard and Karlos Dansby left with injuries. With the way things are going, would anyone be surprised if the news comes out this week that Dansby and Sheard are going to miss significant time? And while the Browns have done a nice job of building depth, there is a limit to just how far down the roster you can go without seeing a negative impact on the field. The bottom line in all this is that, despite their winning record, the Browns are still not a complete team. They are certainly better than they have been in the past few years, but they are still a work in progress and a team that is still learning what it takes to win on a consistent basis. As disappointing as the loss on Sunday is, it does not represent the end of the season. No one is running away with the AFC North division and the last time the Browns looked as poor as they did on Sunday they responded by winning three consecutive games. While there are no games that should be considered automatic wins for this team, the Browns face Atlanta and Buffalo the next two weeks, games that are certainly winnable if the Browns come ready to play for 60 minutes. A second chance to show they are still a real playoff team is there for the Browns. They just need to take advantage of it before it is too late.